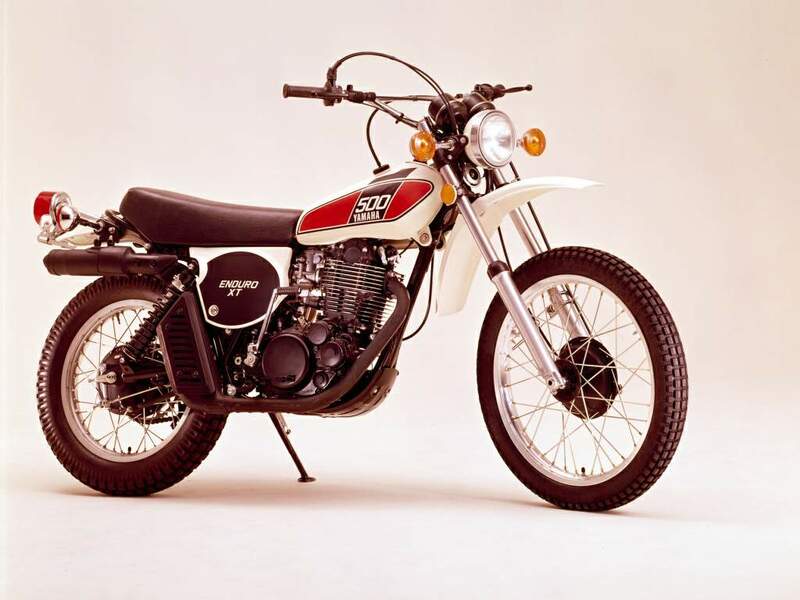 This is the original XT500 made for the U.S. that started the rich XT heritage of reliable 4-stroke enduros. 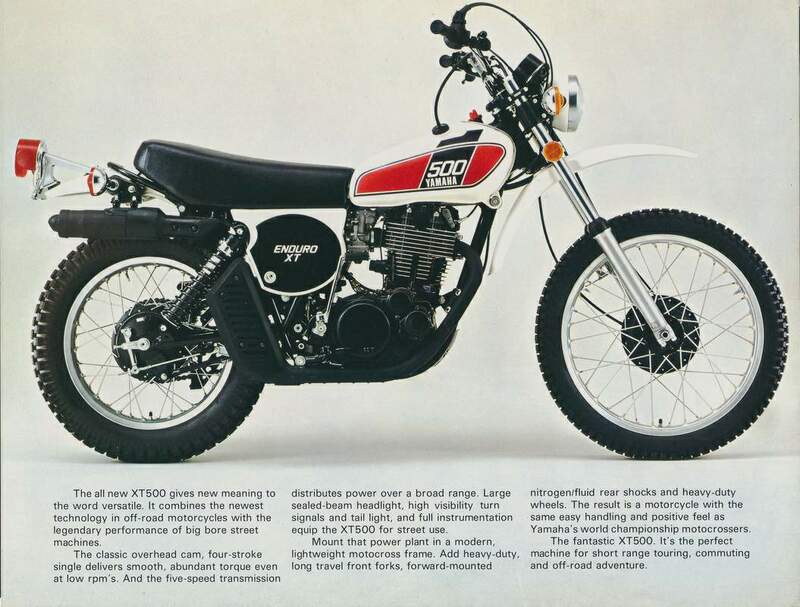 The original XT500 was produced for the USA only and imported into Europe on a limited basis. This model was developed as a desert race enduro machine. 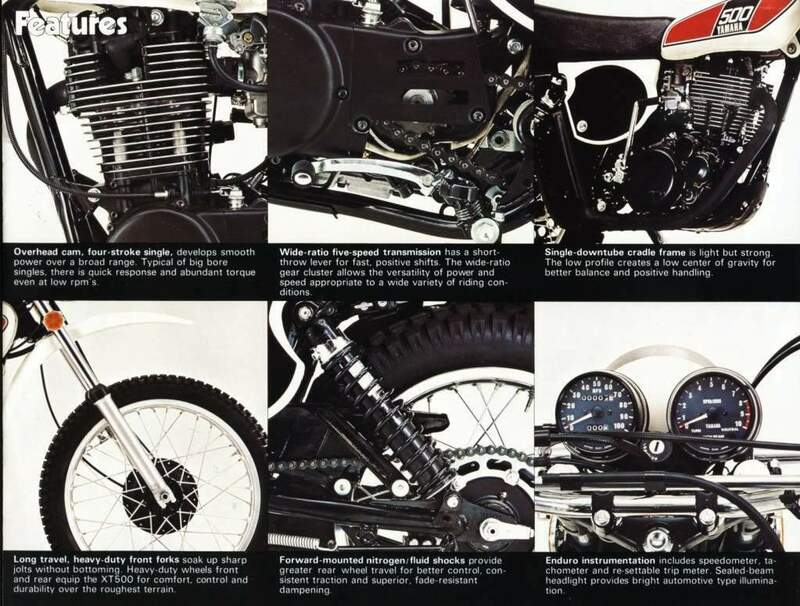 Released as a street-legal version of the TT500 enduro machine launched the year before, this model became the pioneer of the big single off-road genre. It was the focus of attention also for the bold adoption for the first time ever of a forward inclining upside-down rear suspension on a trail model. 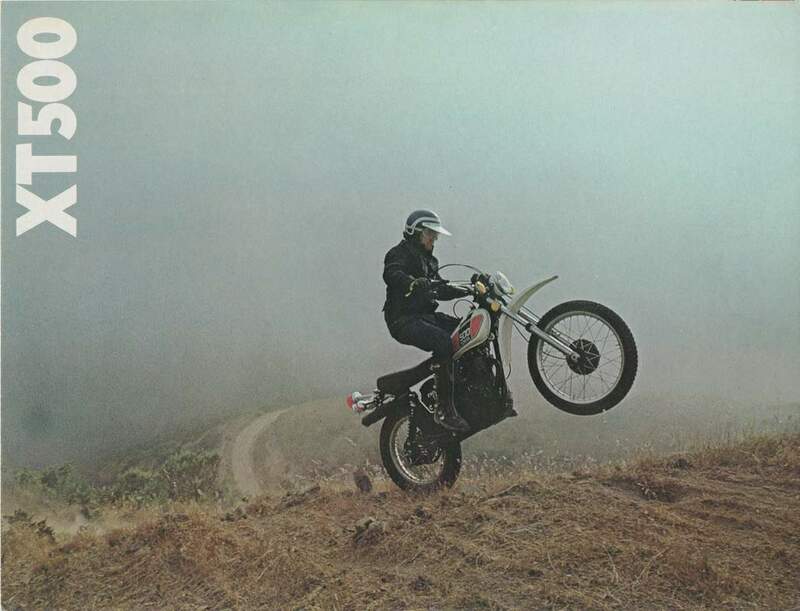 It was on an XT500 that the Sonauto Yamaha team’s Cyril Neveu won the motorcycle division of the 1st Paris Dakar Rally in 1979. The XT500 is a bike with great resources and it is very fun to ride. The bike handles very well and it also has a satisfying acceleration and great suspension. This is the kind of bike that you would encounter at the entering of a ranch and believe me: it belongs there. The bike was created to be exploited and it will give a very exciting off road experience. 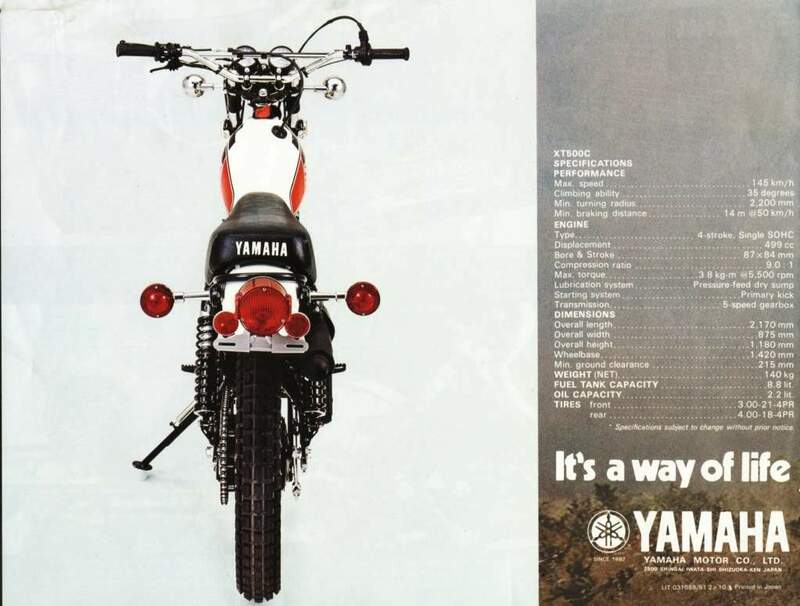 The Yamaha XT500 is an icon and a very enjoyable bike to ride. Many people still put some real miles into their XT500’s and they have a big smile on their faces.